The Beolit 17 speaker is made from genuine and true materials for strength and beauty, with anodized aluminium paired with tough polymer to withstand the rigours of everyday life and a full grain leather handle - so you can carry it easily and with style wherever you go. 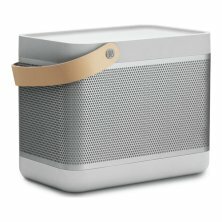 Turn on/off, turn volume up/down and Bluetooth on/off/Bluetooth Pairing/Wireless stereo pairing. Access intelligent features through the Connect button (customised via Beoplay App). True360 sound solution features our True360 omnidirectional sound solution that lets everyone enjoy equally good sound no matter where they are placed. 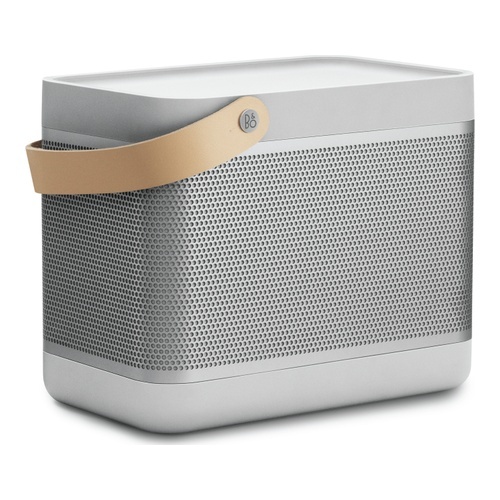 Portable, customizable Bluetooth speaker that delivers on power, clarity and style. Features True360 sound, smart USB-C charger and up to 24 hours of continuous playtime. With authentic and highly precise Bang & Olufsen Signature Sound, Beolit 17 is the only music system you will need in or out of the house.